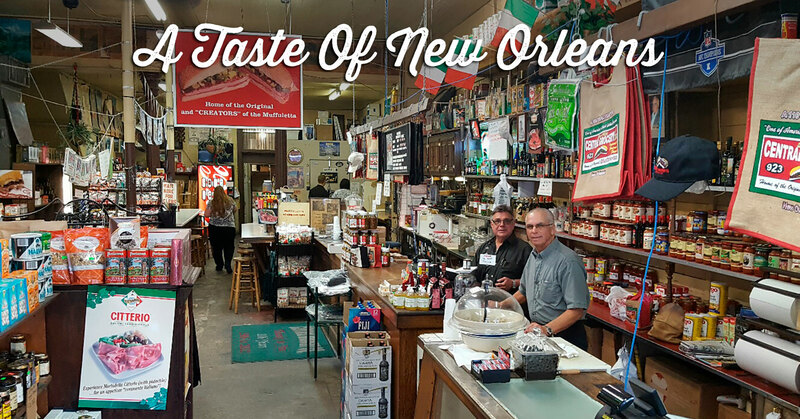 Located on Decatur Street in the middle of New Orleans’ French Quarter, we’re a third generation, old-fashioned grocery store founded in 1906 by Salvatore Lupo, a Sicilian immigrant who is famous for creating the muffuletta. Lined with shelves stocked with imported pasta and olive oil as the aroma of cured pork and aged cheeses fill the air, our shop hasn’t changed over the years. We’ve always made our muffuletta’s with meats sliced in house, locally baked handmade bread and our family’s Italian Olive Salad. The store has remained in the same family for 3 generations, currently owned and operated by Tommy Tusa and Frank Tusa. We are excited to announce that we have partnered with our friends at Goldbely.com to ship muffulettas nationwide! So whether you’re chowin’ down at the back counter of our shop or your couch at home, you can get a true taste of New Orleans.